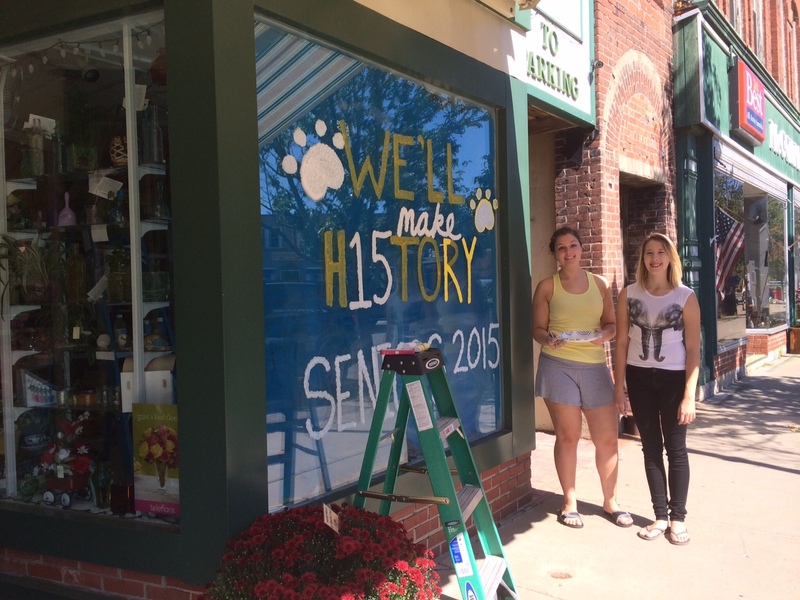 Inaugural Community Spirit Parade….Come dressed in your best BLUE and WHITE! Thursday, October 2, 2014 District students, parents and community members will join together to participate in the 1st Annual Community Spirit Parade! Parade will start at 5:30pm. 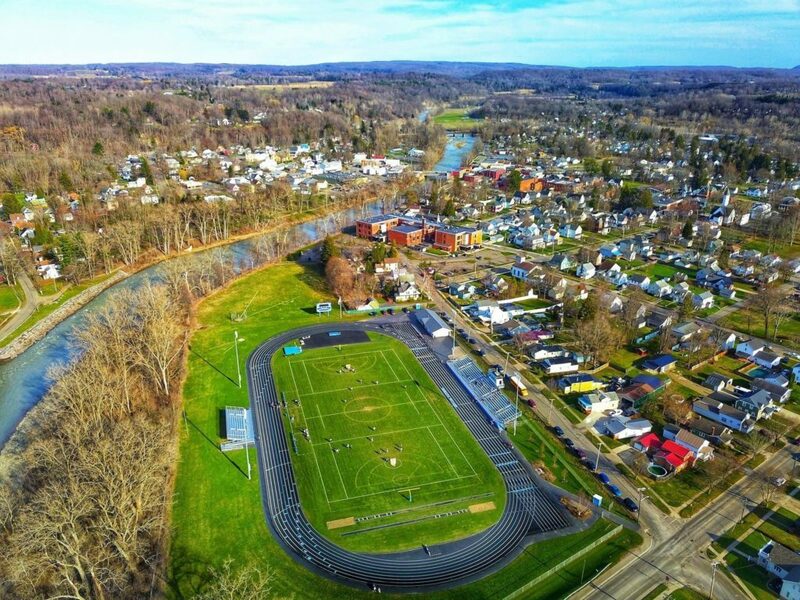 This event is being organized by the Gowanda Boosters Club in partnership with the Village of Gowanda to kick off Gowanda’s Homecoming weekend celebration. High School students will be lined up by Freshmen, Sophomore, Junior and Senior classes. These students will display their class color as they follow their elected candidate’s vehicle. The Homecoming Court will be announced as they approach the Hollywood Theater. Special guests who will be riding in the parade include life long residents, Louis and Dorothy Selan. Louis graduated from Gowanda in 1940, he played football and baseball for GCS, in 1966 he was key in helping to organize Gowanda’s youth football league. Dorothy was Gowanda’s 1948 valedictorian. We are honored to have them help us kick up what we hope will become an annual tradition as we come together and celebrate our school and community pride! This parade also gives us an opportunity to celebrate and officially welcome the Pine Valley Panthers into our community! 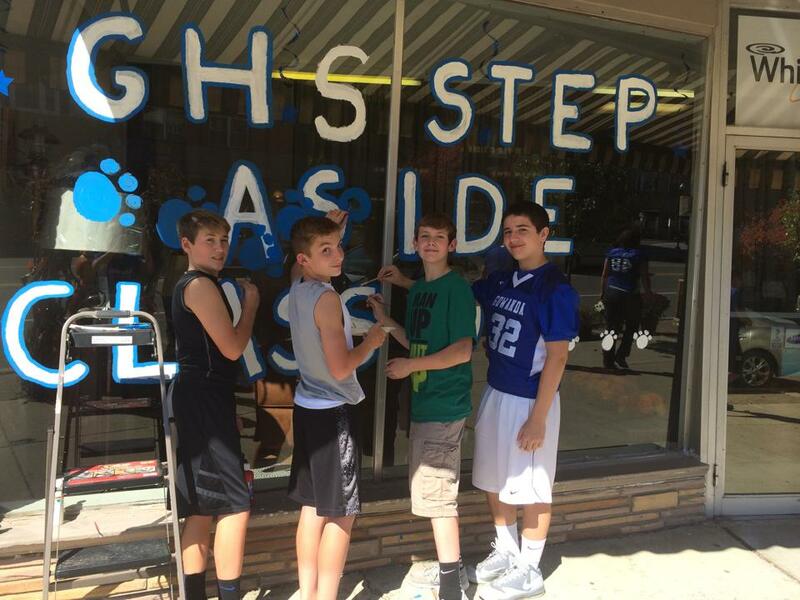 Special thanks to the Gowanda Boosters, Gowanda PTA, students and business owners for partnering together and bringing a touch of panther pride to the windows in our downtown business district. The High School Football Teams, along with cheerleaders will be followed by the GAYFL Float and Little League Football/Cheer Teams. Line up begins at 5:00 pm at the American Legion and the parade will end at St. John’s Park. Get your Blue and White ready Gowanda – come out and support our youth and community!